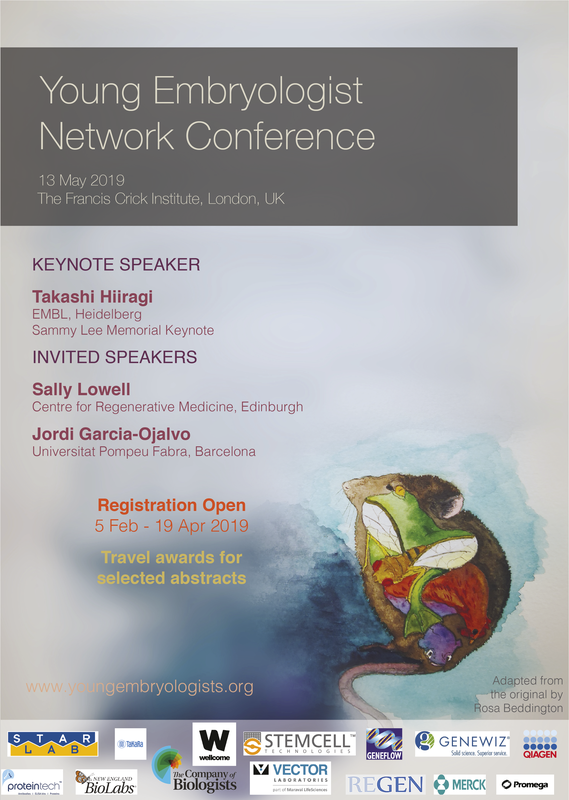 The Young Embryologist Network (YEN), is an academic body aiming to bring together early career scientists within the wide field of developmental biology, in order to provide opportunities to present talks and posters, network and collaborate, and gain research or career advice. YEN was set up in 2008 by graduate students in the prestigious Department of Cell and Developmental Biology at University College London. Every year, the YEN hosts an annual conference at a UK research institution with great success. The conference is entirely organised by graduate students and junior post-doctoral scientists, and has remained free to attend since 2008, due to the generosity of sponsors and grants. The 2019 conference is being held on the 13th of May 2019 at the Francis Crick Institute in London.